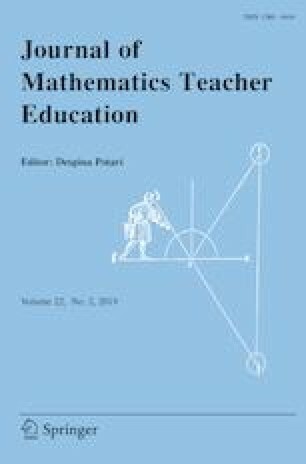 In this paper I present a case study of one teacher, Harriet, and how her beliefs and practices regarding “equity” and “social justice” in mathematics developed over several years. I use Valsiner’s (Culture and the development of children’s action: a theory of human development, 2nd edn, Wiley, New York, 1997) zone theory to examine the evolution of Harriet’s views and practices of mathematics teaching that occurred during her participation in a long-term professional development program focused on supporting teacher leadership. Early in the program she shifted from advocating for and using direct instruction to taking a student-centered approach to mathematics. Initially, when presented with a range of perspectives on issues of equity and social justice, Harriet took up a view of equity as student-centered mathematics and actively resisted teaching mathematics for social justice. However, later in the program she began exploring teaching mathematics for social justice and came to see some value in it. I discuss mechanisms that supported her transitions and implications for the design of professional development and teacher education. Funding was provided by National Foundation for Science and Technology Development (Grant No. DUE-1035330). Common Core State Standards Initiative. (2010). Common core state standards for mathematics. Washington, DC: National Governors Association Center for Best Practices and the Council of Chief State School Officers. Retrieved from http://www.corestandards.org/assets/CCSI_Math.Standards.pdf. Dean, J. (2014). Carbon matters: Middle school students get carbon cycle literate. Rethinking Schools, 28(4). Retrieved from http://www.rethinkingschools.org/archive/28_04/28_04_dean.shtml. Simic-Muller, K., Fernandes, A., & Felton-Koestler, M. D. (2015). “I just wouldn’t want to get as deep into it”: Preservice teachers’ beliefs about the role of controversial topics in mathematics education. Journal of Urban Mathematics Education, 8(2), 53–86. Retrieved from http://edosprey.gsu.edu/ojs/index.php/JUME/article/view/259.